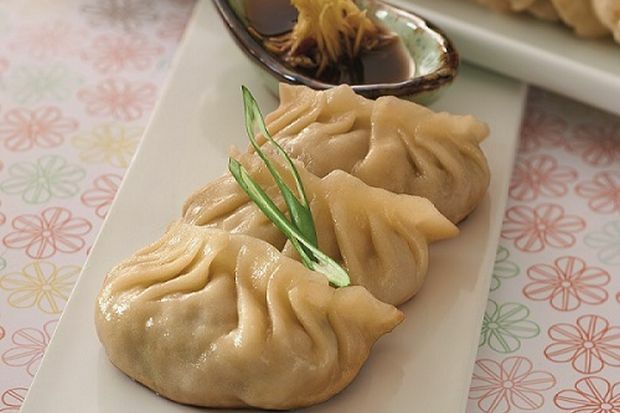 Here is a simple yet delicious recipe for mushroom dumpling. Heat a pan and lightly fry all the filling ingredients for 3 minutes. Set aside to cool. Combine flour and salt to mix well and pour water to mix into smooth dough. Wrap in cling film and let it rest for 10 minutes. Divide dough into 30-35 small balls. Dust the surface of your work station and roll them into 2.5 inch rounds. Dust flour in between sheets to prevent from sticking. Spoon some filling into the wrap, fold in half and seal edges. You can cook them in boiling water(for 3-5 mins until dumpling floats to surface) or alternatively, you can also cover and pan fry over medium heat with oil with a little water until skin is cooked and bottom is crisp. Serve with julienned ginger and black vinegar.